Another fatality involving Metra and a pedestrian occurred on the South Side of Chicago, and one of the possible factors was distracted walking. A recent article in the Injury Prevention journal  found 116 fatalities involving car versus pedestrian or train versus pedestrian between 2004-2011 where headphones played some role. The study's authors acknowledge some weaknesses in their methodology, such as "It’s also not clear whether headphones directly caused pedestrians’ injuries, or whether driver fault, alcohol, mental illness or suicidal intent could have contributed to the crashes". However, given the current federal government's push to promote high speed rail and other improvements, enhanced incident tracking and record keeping geared towards injury and deaths involving trains should be undertaken. A detailed database would be necessary when prioritizing safety improvements along planned improvement corridors. 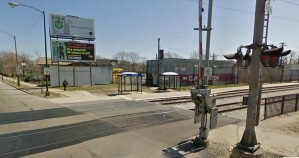 The crossing at 95th and Vincennes as shown above lacks pedestrian gates that are featured at some level crossings. While such gates are by no means intended to prevent people from crossing the tracks (it is quite easy to duck underneath them) they do serve to enhance the perception of the crossing as a dangerous area. Another benefit is preventing people who might be distracted from crossing the tracks even when bells and lights are sounding. Noise-canceling and sound isolating headphones can be quite effective at rendering people unaware of their surroundings; bumping into a gate can snap people back into reality. A pedestrian crossing gate could possibly have prevented this tragedy and many others from occurring. The aforementioned enhanced surveillance of level crossing incidents is needed in order to identify crossings that seem to be prone to incidents of pedestrian risk, intentional or not. A crossing gate for pedestrians does block someone's path, but it is still a somewhat passive measure in that people can easily circumvent it by simply walking around it (like cars often do at simple two-gate crossings where the gates only block the approaching lane on either side). A person routinely walking around such lowered gates as part of their commute could have the instinct to avoid them ingrained in their consciousness. This behavior in the presence of a pedestrian crossing gate could be circumvented by installing various measures intended to keep people on the sidewalks or paths. One simple method could involve thick bushes lining the approaches, keeping people from going off the sidewalk. The gate could be surrounded as well so that circumventing it would require some degree of hassle. A more direct approach could involve L shaped fences on either side of the sidewalk, one of which could connect to fencing along the railroad right of way. This would actively prevent pedestrians from getting around the crossing gate. All of the above measures are no substitute for common sense, but with the proliferation of smart phones and electronic music players instances of distracted walking are surely going to increase. 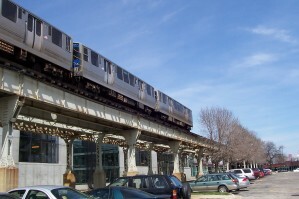 Placing tracks below-grade to eliminate the threat to pedestrians and vehicles has been done before, Winnetka being a notable example in the Chicago area . In a 25 year period before 1937 there had been 29 fatalities which comes out to an average of slightly over 1 per year. An unfortunate number, yes, but not necessarily a crisis. The decision to place the railroad tracks below grade in Winnetka likely had a lot to do with community image and aesthetics—not just pedestrian safety—considering the socioeconomic profile of this particular community. Concerns about future pedestrian fatalities were not entirely without merit however; today the historic commercial core of the village is bisected by the train tracks. 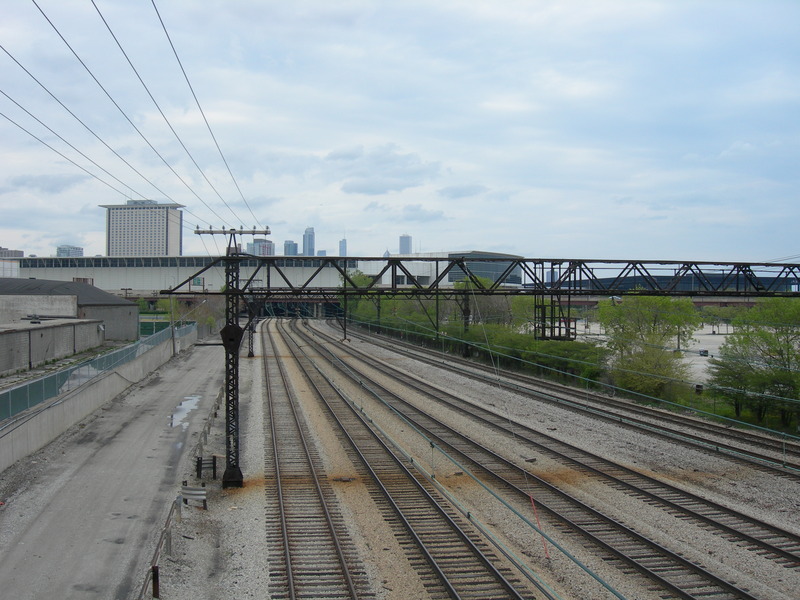 In Chicago much of the trackage on the North Side of the city is elevated; the South Side on the other hand is a mixed bag. The crossing at 95th and Vincennes is the first grade crossing heading south on the Rock Island District main line; the entire line north of here is elevated. 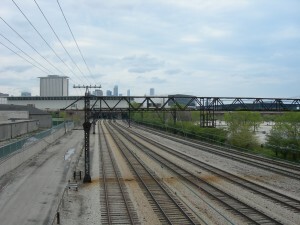 The entire length of the Metra Electric main line is elevated while its stub branches are at grade. In terms of pedestrian and vehicle safety Chicago is in pretty good shape compared to many suburbs where the train runs almost entirely at grade, which makes yesterday's incident particularly notable. There are only about twelve or so grade crossings on the Rock Island District Main Line, which is only served by rush hour trains. This is a somewhat manageable number if safety improvements as described previously were to be enacted. The fact that the Rock Island District main line is only served during rush hour, with most trains routed via the Suburban line to the west, provides some background into people's behavior near the main line crossings. Only seven trains  pass through the crossing at 95th and Vincennes before noon, which means that pedestrians and vehicles here wouldn't be as attuned to the operation of the train as residents to the west. It's a matter of conditioning; the more trains that pass through a community, the more conscious people would be of their presence and the necessary safety measures at grade crossings. In simpler terms: people that cross lightly used lines probably won't think about them as much. Crossings like 95th and Vincennes should probably have more safety measures for precisely this reason. Anyone who's ridden both the Red Line Dan Ryan Branch of the CTA and the Rock Island District Branch of Metra may have noticed that METRA IS FASTER. Every time I have timed the Rock Island from 35th Street to LaSalle it has taken at most 8 minutes, including time spent pulling into the station. Sox-35th to Jackson on the Red Line takes over 10 minutes regularly because of the maintenance on the Red Line. What makes this so irritating is the fact that the CTA supposedly modernized the Dan Ryan branch over 5 years ago, yet failed to fix a long stretch of their trackage. If they had used good judgement, they would have realized that stations are only as useful as the tracks that serve them. If the train slows down to a dead crawl, people are going to start to get annoyed and look for faster methods of travel. 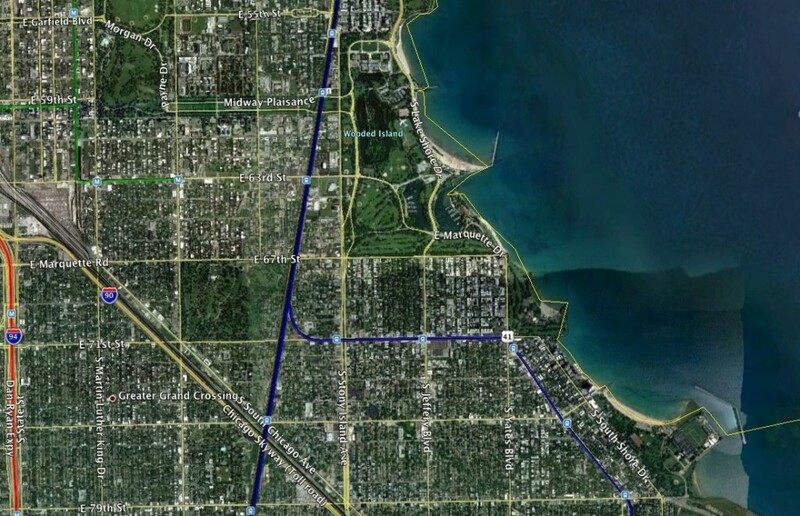 The same goes for the north branch of the Red Line, where the trackage is showing its age yet the CTA undertook a massive renovation of Howard. Any significant disruption to the north side of the Red Line will undoubtably cause patronage at Howard to drop. Besides the time advantage the Rock Island has, it also has a price advantage as well. Unlike the weekly and monthly passes on the CTA that are only valid for a continuous period of time, Metra 10-ride passes are valid for one year from their purchase date; so infrequent Metra riders who want a discount can get 10 rides for only $18.30 between 35th and LaSalle. That's only $1.83 a ride, 42¢ less than the CTA rail fare. 25¢ less, faster, and cleaner: I'm sticking with the Rock Island for the foreseeable future.